Ernie Biscuit is the bittersweet black and white clayography of a lonely Deaf Parisian Taxidermist whose life is turned upside down and back to front when a dead pigeon arrives on his doorstep. Set in the swinging sixties, Ernie’s life has become and dull and dusty. After a bout of self pity and an overdose of Absinthe, Ernie is convinced by the dead pigeon to start afresh and fulfil a life long dream to travel to Venice and ride in a Gondola. Sadly, Ernie and his pet duck Edith, board the wrong plane and end up in a backwaters of Australia, where they end up penniless and homeless. Luckily a kindly chef named Tiny takes them in and helps Ernie find a job. Ernie saves his money for his trip home and even falls in love with a blind eccentric whittler called Angelina. All Ernie’s problems seem resolved until Tiny reveals his true colours and cruel culinary intentions. Best International Short Pixelatl Film Festival Mexico 2015. Best International Short Mercado 3D International Animation Film Festival Segovia Spain. Special Mention Cutout Animation Festival Mexico. 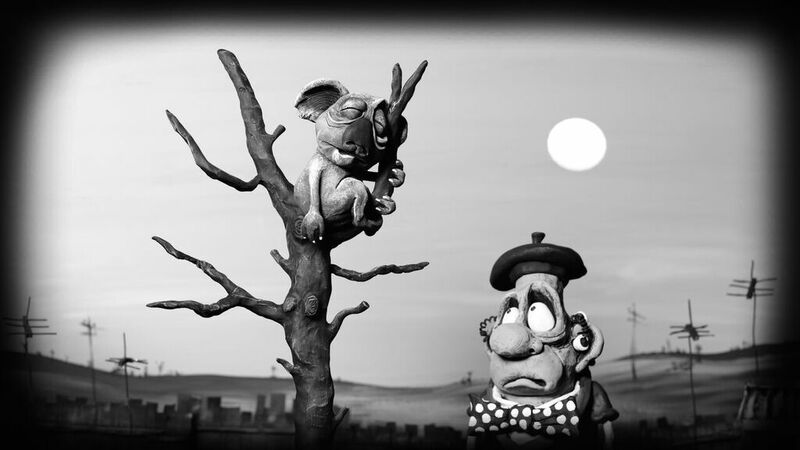 Nominated for the 2015 Dendy Awards – Best Australian Short Film.